There is a lot of that has been put into 3D technology in the last decade. This is especially so when it comes to the printing service. You can now access a 3D printer with more ease than you would have some five years ago. The devices continue to become better with each passing day and more efficient in their work. The quality of products that you will get when you decide to buy a 3D printer in 2016 is sure set to be the best. This quality continues to increase as each year passes. It is however worth pointing out that even though the prices are lower than they were some years ago, it is still a costly investment for many businesses. Major corporations like Google, Microsoft and others can easily afford to get a 3D printer without flinching but the same cannot be said about startup businesses. There is no startup business that can access the money to purchase these printers unless it is an enterprise that deals with 3D printing as its core business. Even then, it will be quite a struggle to access the funds. 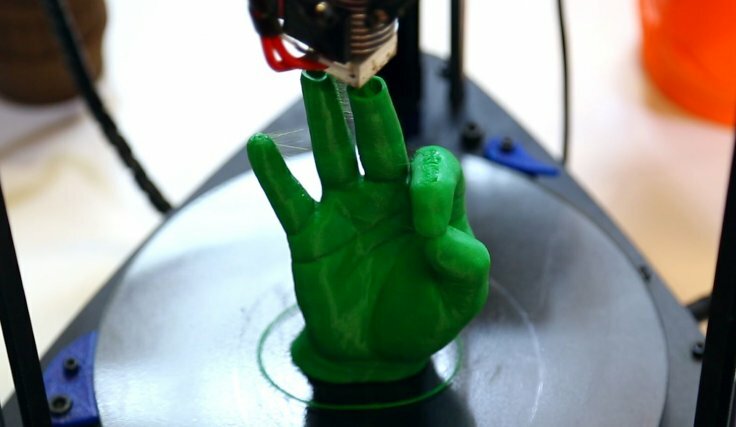 The reasons why people are going for 3D printing are just so many. However, one reason really stands out- flexibility. 3D prints are so flexible; you can create prints of all sizes and on just about all materials. Do you want to do the printing on a piece of paper or you are planning to create them on steel plates? You can easily do that today. Companies are making use of 3D printing in folder designas well. You can have business folders with 3D prints created for your business. Business folders, binders and even sales boxes are being fitted with 3D prints for the purposes of making them more professional and eye-catching. During a business presentation, you should bring several business folders for your clients to refer to as you make your pitch. A folder with 3D printing comes off as very stylish and at the same time, professional. It captures the attention of your clients and they will definitely not be throwing it away. They might decide to use it for their documents and that is just another way that they will be promoting your business. Everyone who sees the folder will want to find out more about your business. 3D printing is also being used to make name tags for workers and even doors. This again is a function of the flexibility of this type of printing. The tags could be made using plastic or even metal. It does not matter the material used because a wide array of materials can be used for 3D printing. Sales boxes with a printed logo tend to be more attractive. You can only imagine how much more eye-catching they can be when the logo is printed in 3D. The fact that you can use 3D printing for a whole lot of activities makes it very popular. Hiring a company that deals with 3D printing is the best way to go. You are going to get professional printing services and at affordable rates. Mary Sibley is a branding expert with years of experience in the field. Recently, she has been most fascinated by the penetration of 3D printing into folder design, creation of custom sales boxes, binders and other products.